The review chapters in this volume were the basis for a short course on molecular modeling theory jointly sponsored by the Geochemical Society (GS) and the Mineralogical Society of America (MSA) May 18-20, 2001 in Roanoke, Virginia which was held prior to the 2001 Goldschmidt Conference in nearby Hot Springs, Virginia. Dr. William C. Luth has had a long and distinguished career in research, education and in the government. He was a leader in experimental petrology and in training graduate students at Stanford University. His efforts at Sandia National Laboratory and at the Department of Energy's headquarters resulted in the initiation and long-term support of many of the cutting edge research projects whose results form the foundations of these short courses. Bill's broad interest in understanding fundamental geochemical processes and their applications to national problems is a continuous thread through both his university and government career. He retired in 1996, but his efforts to foster excellent basic research, and to promote the development of advanced analytical capabilities gave a unique focus to the basic research portfolio in Geosciences at the Department of Energy. He has been, and continues to be, a friend and mentor to many of us. It is appropriate to celebrate his career in education and government service with this series of courses in cutting-edge geochemistry that have particular focus on Department of Energy-related science, at a time when he can still enjoy the recognition of his contributions. Molecular modeling methods have become important tools in many areas of geochemical and mineralogical research. 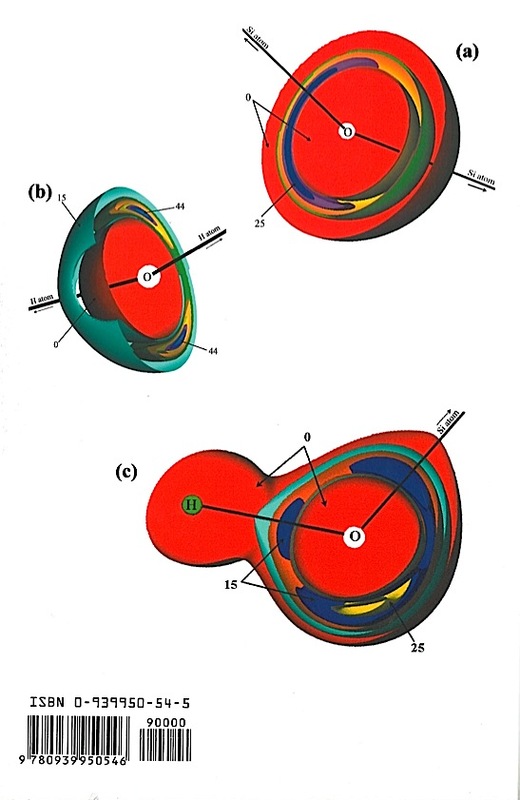 Theoretical methods describing atomistic and molecular-based processes are now commonplace in the geosciences literature and have helped in the interpretation of numerous experimental, spectroscopic, and field observations. Dramatic increases in computer power-involving personal computers, workstations, and massively parallel supercomputers-have helped to increase our knowledge of the fundamental processes in geochemistry and mineralogy. All researchers can now have access to the basic computer hardware and molecular modeling codes needed to evaluate these processes. The purpose of this volume of Reviews in Mineralogy and Geochemistry is to provide the student and professional with a general introduction to molecular modeling methods and a review of various applications of the theory to problems in the geosciences. Molecular mechanics methods that are reviewed include energy minimization, lattice dynamics, Monte Carlo methods, and molecular dynamics. Important concepts of quantum mechanics and electronic structure calculations, including both molecular orbital and density functional theories, are also presented. Applications cover a broad range of mineralogy and geochemistry topics-from atmospheric reactions to fluid-rock interactions to properties of mantle and core phases. Emphasis is placed on the comparison of molecular simulations with experimental data and the synergy that can be generated by using both approaches in tandem. 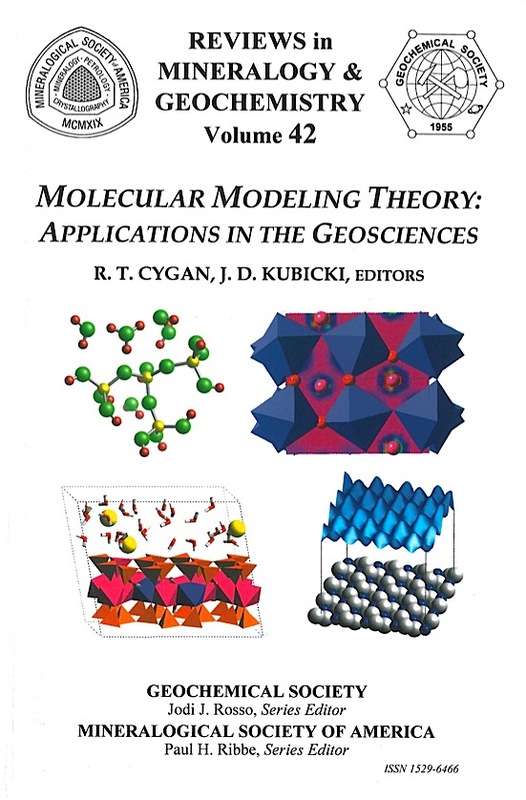 We hope the content of this review volume will help the interested reader to quickly develop an appreciation for the fundamental theories behind the molecular modeling tools and to become aware of the limits in applying these state-of-the-art methods to solve geosciences problems.